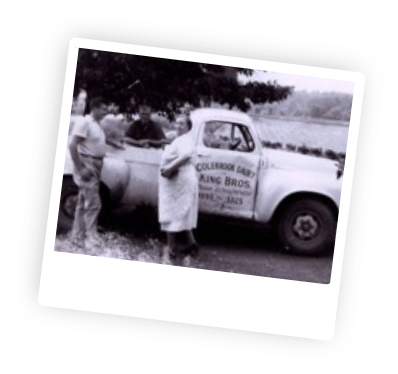 We are excited and proud to offer you the convenience of home delivery just as our grandfather offered the Saratoga Springs area decades ago. Get your farm fresh milk, eggs, meat, and more delivered straight to your front door each week! How exactly does home delivery work? See our “Frequently Asked Questions” below to help answer your questions or contact us for more information. Sign up online and customize your order to enjoy the goodness at your door! Our delivery area includes Colonie north to Queensbury and the surrounding areas. New stops are being added regularly. Register to get started. After your information is entered you may place your first order! You will not see a submit button to enter the order. If you click on the shopping cart tab you can view your order and the starting week. I'm going on vacation, can I stop my deliveries while I'm gone? No. Our driver will place your order in a cooler or porch box. 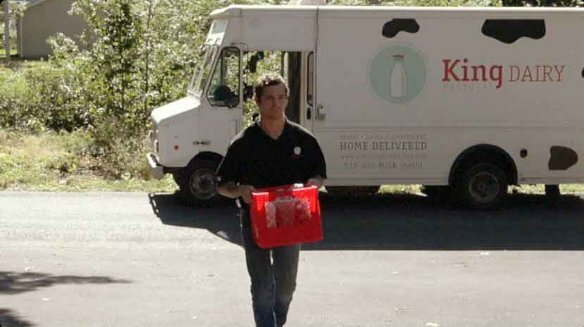 If you do not leave your cooler out, your milkman will not leave your order unless you have made prior arrangements. This ensures that milk does not freeze in the winter or spoil in the summer. We can not be responsible for frozen or spoiled milk once it is delivered. You will still be charged the delivery fee of $3.99 if no cooler is left out and no one is home to accept delivery. Yes, as required by New York State law. We do offer several different approaches that makes our Milk by far the Best Tasting and Freshest available due to our pasteurization and bottling process! We pasteurize using a HTST system which means our milk is heated to 165F for 18 seconds and then cooled. Many grocery stores pasteurize at a much higher tempeture ( approx. 280F). This does provide a longer shelf life,but stirps the milk of its natural proteins, health enzyes and flavor. Is there a cost to receive home delivery? Also note that our glass bottles have a $1.50 refundable deposit, which is refunded when the bottle is returned. Leave your rinsed out bottles by your cooler for pick up. Please remeber to keep the caps off and rinse out the bottles. We accept credit and debit card for payment (Master Card, Visa, Discover and American Express). When you set up your account, you enter your credit card information. You will receive a bill via e-mail. We only accept credit or debit card for payment. Credit cards will be processed within 24hours of delivery. If your credit card is declined customers will be placed on hold for any future orders until your outstanding balance is paid in full. "Service is great and the delivery drivers are the best. Local family business that also carries products from a lot of other small business owners so we can get a lot of different products all delivered to our door"